I utilized shades of blue, yellow, green, red, and white in creating this abstract painting. 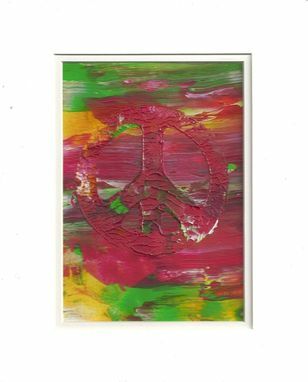 It features the peace symbol embossed in wisps of hippie colors in acrylic paint. I used a pallet knife to create the accents, and coated its surface with varnish for extra depth and texture. This 5x7-inch art piece is painted on Acrylic Grade Cold Press Paper, and comes with an 8x10-inch double mat. 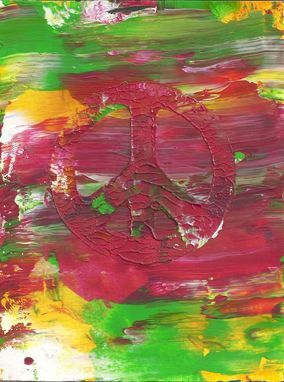 It is an original of mine, and would be great for an art gift.